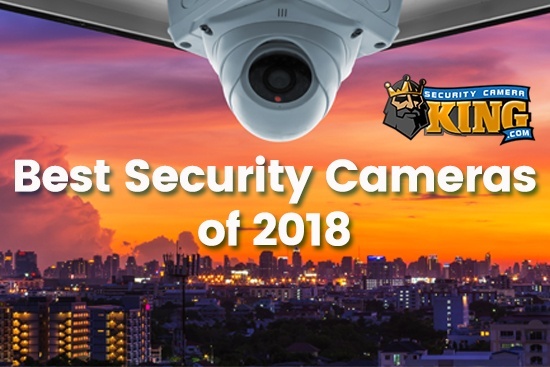 The 8 camera Dvr system is a popular security system choice for applications requiring durable day and/or night indoor or outdoor security and surveillance. There are many things to consider when purchasing an 8 camera Dvr system; so let’s examine a few. First, the 8 camera Dvr system may also be referred to as an 8 channel Dvr system. Usually, security camera systems refer to each camera as a “channel” hence the terms 8 channel system, 8 channel receiver, and so forth. If you are using an 8 camera Dvr with outdoor cameras, the cameras must be an outdoor rated type. This means they can withstand the forces of nature including extended inclement weather. Cameras of this type are normally rated as IP66 or IP67. This rating is the Ingress Protection rating based on an international electrical standard that specifies what the camera is protected against. The first digit following the IP, in this case “6,” means the camera is dust tight, that no dust can enter the casing or components of the camera. The second digit refers to the protection against water. A rating of “6” means the camera is protected from ingress of powerful water jets and a rating of “7” means the camera could be submerged in water up to 1 meter in depth. Generally, outdoor cameras will be either night/day vision cameras or infrared (IR) cameras. Regardless of the type, this has no effect on the operation of the 8 camera Dvr. Night/day vision cameras have a sensitive CCD sensor that can produce images in very low light conditions. 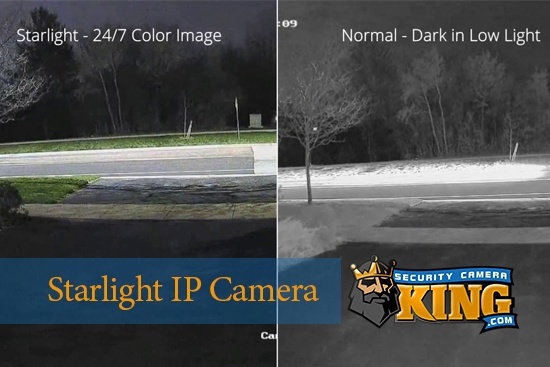 Infrared cameras contain a series of IR emitting LEDs that surround the camera lens to illuminate otherwise dark or no light conditions. IR illumination is invisible to the human eye however the camera’s CCD sensor can detect IR radiation. Therefore, the LEDs work like invisible lighting, flooding the absolutely dark target area with a beam of light undetectable to the human eye. Also, an 8 camera Dvr system may utilize wireless camera technology. This means that the cameras transmit their image to a receiver using either the 2.4 GHz or 5.8 GHz band without the need for transmission cables. This can be incredibly beneficial in placing cameras in locations that are difficult to reach using cables or if the DVR is going in a concealed area. A wireless 8 camera outdoor DVR system will also need an 8 channel receiver. Regardless of the type of camera, this system will also include a Digital Video Recorder or DVR. The DVR is basically the same device as the hard drive in a personal computer. Once the camera has transmitted the signal to the system, the DVR stores the images or video in a file on the hard drive. Generally, an 8 camera Dvr system will require a high speed DVR along with some sort of compression technology. The compression technology is often called a CODEC, short for COmpression/DECompression utility. Its job is to shrink the size of the enormous video file while maintaining good quality video images. 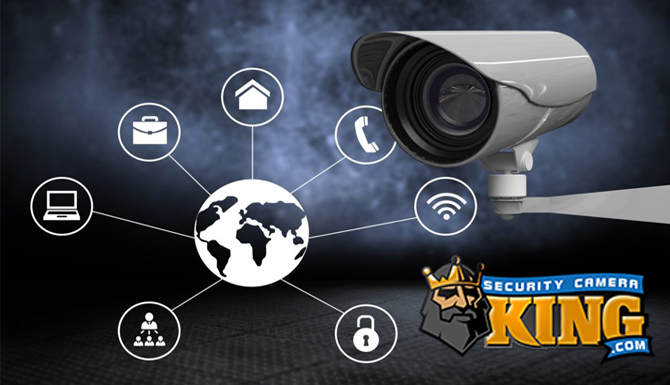 Security Camera King uses the latest most efficient CODEC available in their 8 camera Dvrs and it is known as H.264. Since 8 cameras are producing video at once, the incredibly large file size of the digital video would exhaust the useful space of even the largest capacity DVRs. So, file compression technology, software or hard-wired circuit boards, are used to compress the file size while maintaining the image quality while maximizing hard drive capacity. The DVR saves the image until the disk is filled and when it reaches its capacity, the DVR continues recording over previously saved data. One of the benefits of an 8 camera Dvr system is that it contains a CD/DVD writer. These systems normally contain on-board or internal DVD writers. These are excellent for backing up image files. When a DVR is getting full, a DVD can be burned for archiving purposes before the DVR begins to re-write itself. Also, another added benefit of a DVD writer is to produce back-ups or copies of certain image “footage” to provide to police departments or when needed as evidence. Understanding the options available for an 8 camera outdoor DVR system with DVD recorder will help you make an educated, useful purchase that will fulfill your security and surveillance needs. If you have any additional questions contact one of our security experts today. We love to help!